 Christ Pantocrator in the oval. Around it, starting from the top right of the middle quadrant, the scenes are Nativity, Baptism, Holy Supper, Crucifixion, Descent into Hades (Ressurection), and Ascention. The scene at the bottom is Transfiguration. 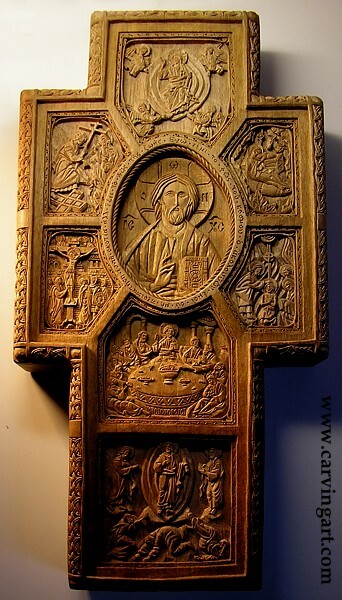 I carved the Orthodox Creed on the back, in Church Slavonic. To see details click on the picture. I didn't manage to take good photos of it completely finished - the name of each scene is carved in Greek under or above it and it has a walnut satin finish.